Ellie and Lauren recently headed off to their school proms and with that came the inevitable question: “Dad can you take some photographs of me and my friends?” Well I could hardly decline and it is yet another opportunity to get out in front of people. 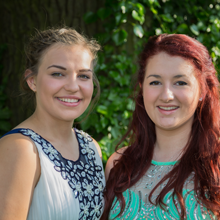 First was Ellie’s prom to be held at the Sharnbrook Hotel just outside of Sharnbrook’s main town on the A6. It is a lovely setting and I knew ahead of time what the game plan was. As always with teenage girls, that soon changed and it was yet another reminder that you have to be on your toes and constantly thinking ahead of the game. We started off with some initial shots of Ellie and Jess outside Jess’s house. There is a lovely old tree with deep ridged bark and it would make an ideal backdrop for some simply impromptu shots. The sun was not kind as it was full in the girl’s faces and neither wanted to play ball. A few photographer tricks and we had a few decent shots in the bag – no fancy artificial lighting, just using the sunlight available. At the hotel, we headed to the back of the venue and up the bank to the top grassed area. Met be a couple of other friends, we took the opportunity to get some nice shots making use of the shade and some others in the sun. Other people picked up on the idea and there were soon a good few hundred kids that were congregating on the plateau. The professional photographer for the night joined the throng and I took my leave when the girls got fed up of photos being taken and ventured inside for the main event. I was pleased to have got the images that I got for Ellie, Jess and her friends and they have been made available on the M4Photo website for the girls to download and share on their various Social Media accounts. Lauren’s prom was a different affair. We were scheduled to meet over at Bedford Football Club’s ground just before the prom started. Lauren and I got there early, I scouted a half decent spot as there was nowhere really suitable and we waited for her friends to arrive. Unfortunately, they arrived only a few minutes before the start of the prom so I only had two or three minutes to get the ladies together and rattle off half a dozen shots. With some group shots in the bag I wanted to do some individual shots but the DJ came over the PA loud and proud and the ladies attention turned from photos to party time. The lesson learned on this occasion was to get the subjects to the venue early and give yourself enough time to achieve what you planned. This will not always be the case, but just another fifteen minutes would have been ace. As before, the gallery has been uploaded to the Sharnbrook School gallery on the M4Photo website and the images are available for the girls to download and post to their social media sites. Copies of all images are available to purchase as prints without the copyright watermark. With some outdoor opportunities on the horizon and the weather looking to be changeable, well isn’t it always here in the UK, I have been researching rain covers for my 5D Mk III. There are a myriad to choose from and the prices range from just a few pounds for a simple plastic disposable rain cover to something much more substantial and expensive. There are also super inexpensive and ingenious options on YouTube as well. One is a simple clear plastic bag which is secured around the lens hood with an elastic band and two holes cut for hand holes to get to the camera body and lens. 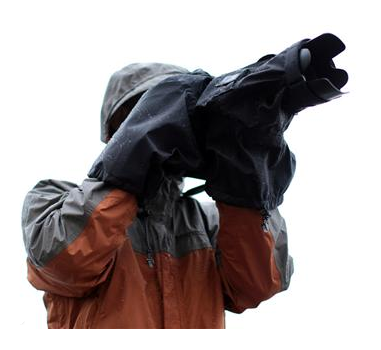 Firstly, I’ll be getting a pack of the disposable rain covers that are readily available from amazon.co.uk. These will be to throw into the bottom of my camera bags for those times when you get caught out. Despite spending countless hours preparing for a shoot, you can never predict the English weather or being asked (told) to shoot near water. For example, I hope to be shooting at a Tough Mudder event in Kettering on the weekend of the 12th July. With unpredictable weather and the certainty of wet mud and many thousands of litres of water over the course, I want my gear to be both well protected and as water proof as possible. Secondly, and for this reason, I decided to dig deep and I have managed to secure a nice purchase. It is the Think Tank Hydrophobia camera cover that will completely cover my 5D Mk III and my 70-200mm lens. It does not have the flash cover, but when you are seeking things on the cheap you sometimes have to roll the dice and take what comes along. I got the cover at a good price and I could not wait to try fitting it to my camera with the special eye adapter (needs to be purchased separately from the cover). The quality of the cover is superb. The fitted eye piece means no loss in use of the view finder, whilst maintaining water proofing. The cover comes with a special cleaner for the clear plastic to help with fogging. There is a nice strap to fix the cover around the lens hood. There is easy access to both the back of the camera and also to the lens for focusing. This is one rain cover that, despite the high cost if bought new, I would readily recommend.